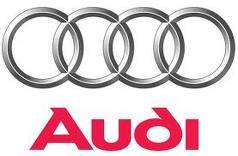 With a view to get a large chunk of the Indian luxury car consumer in its bag, Audi, the German luxury car manufacturer, recently announced the opening of its upgraded state-of-the-art showroom and service facility in Bangalore. While the dealership was inaugurated by Michael Perschke, Head - Audi India, Shamit Bhartia, Director- Audi Bengaluru (Jubilant Motors Private Limited), K. Subramanian, Chief Executive Officer - Audi Bengaluru (Jubilant Motors Private Limited), it is believed that it will give a lot of boost to the plans to the company in the long-run. Michael Perschke, Head - Audi India said that the company is very delighted to announce the opening of our upgraded facility in Bengaluru based on the global Audi Terminal concept. It is to be mentioned here that the company has a target to reach the top slot in the Indian luxury car segment by 2015. While the current fight in among Mercedes and BMW to consolidate on the top spot, it is believed that Audi will also give a tough run for the money to both the giants. K. Subramanian, Chief Executive Officer - Audi Bengaluru said that Audi's global leadership position and their unparalleled commitment to luxury is what has driven Jubilant Motors to deliver this upgraded facility.